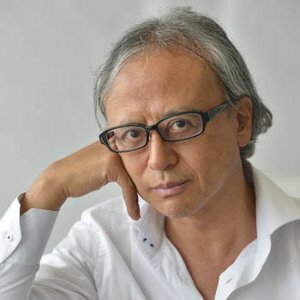 Yuya is Chief Creative Officer at Dentsu and under his leadership, Dentsu’s creative teams work on projects ranging from product development, branded content creation, pure content creation, including TV programs and movies, content export, space planning and design, digital platform development, business strategy and consulting, and PR to traditional advertising. Yuya himself is also involved in government projects such as the Olympic Games and the National Stadium. He is also Director of Dentsu Lab Tokyo, an initiative to bring new forms of creation through technology by combining research, ideation, and development. International accolades for Yuya include gold, silver, bronze awards at Cannes, D&AD, One Show and Spikes, among others, as well as Grand Prix at Adfest. In 2005, he won the Creative Person of the Year award of the Japan Advertising Agencies Association. He has also been selected Campaign Brief Asia’s Creative Director of the Year for three years in a row. He is a familiar face as a judge at international awards such as Cannes, D&AD, Clio, Spikes and Adfest, and as a speaker at various conferences, including D&AD President’ s Lecture. Yuya is also a member of the D&AD Advisory Board as well as the author of the book ‘All Work is the Work of Creative Direction’.